bestessays.com review www.duabid.com web venta online en Vitoria. | www.bamboocommunication.com home theater san francisco California. Allison Basile is an organizer focused on transforming our economy to one that’s equitable, democratic, and sustainable, where all people and communities can be self-determining. She co-founded and helps to manage Impact Hub DC, a work and event space for social change groups and organizations. She co-founded the DC Time Bank, an exchange platform that builds circles of reciprocity and mutual aid, building community ties and resilience. She serves on the Shared Leadership Team of Organizing Neighborhood Equity (ONE) DC, which creates and preserves racial and economic equity in the District, and works with Transform Finance, helping to develop tools for non-extractive finance. 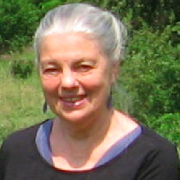 Mary Bolton is a community organizer with over 40 years experience working on social and economic justice, clean energy, women’s and peace issues. She has expertise in creating community-controlled institutions, advocating for the interests of low-income individuals, and bringing human services to underserved communities. She served as a court reporter in the U.S. House, Senate, Supreme Court, and other agencies. 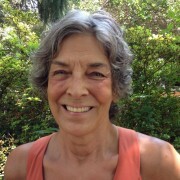 Ruth Caplan’s environmental career began with a decade of organizing and litigation which successfully prevented construction of three nuclear power units on Lake Ontario, followed by a decade as safe energy lobbyist and executive director of Environmental Action, a national grassroots organization. She went on to coordinate the interdisciplinary Economics Working Group which developed a community centered system for full employment and local sustainability. She was awarded Sierra Club’s 2004 Special Service Award for her work on corporate accountability, international trade, water privatization, and energy policy. 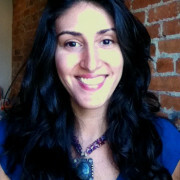 Currently she is National Coordinator for the Alliance for Democracy’s Defending Water for Life Campaign. 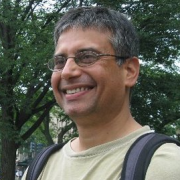 Raghu has been active on social, economic and environmental justice issues in DC for over 10 years. He works on energy conservation in the Fairfax Public Schools System. 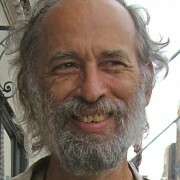 David Schwartzman is Professor Emeritus, Howard University. CIVIC ACTIVITIES & ELECTED OFFICES: Initiator, Co-editor, Report on State of Human Rights in DC; Steering Committee, DC Human Rights People’s Movement, (2009 to present) member, Fair Budget Coalition (1998-present); member, Take Back DC; Metro DC Science for the People; Fair Taxes for DC; Nuclear Freeze, Justice for Janitors, Local 25 campaigns; DC Statehood Green National Delegate (2008, 2012); member Internaional Committee, Green Party of the United States, Elected member, Local Station Board WPFW (2010 to 2012); member, Green Economy Working Group, Sustainable DC (2012). Steve Seuser has over 25 years of experience working with the public, private and nonprofit sectors in affordable housing, renewable energy, economic development, and finance. Steve serves as a Steering Committee member of the DC Public Banking Center. Steve also worked with DC Solar United Neighborhoods, an organization promoting solar energy in Washington, DC. He coordinated DC SUN’s activities to reduce barriers to affordable solar energy for residents, nonprofits, and businesses, successfully working with a coalition of organizations to pass legislation through DC Council enabling community solar in the city. 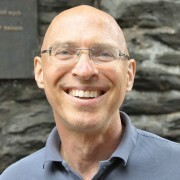 Previously, he served as Executive Director of Building Futures, a permanent supportive housing provider for persons living with HIV/AIDS and other disabilities.